When your feet are in pain, you deserve the best in care. Learn more about common foot conditions. Dr. Issam Mansour is both a Foot Doctor and an ankle doctor. Having healthy feet and ankles, free of aches and pain, will help you look and feel better. Taking care of your feet today will help keep you active for the rest of your life. Foot & Ankle Podiatry requires additional years of training than a regular Podiatrist. To specialize in Pediatric and Sports Medicine Podiatry a Physician must study additional years. Healthy feet can help you maintain proper posture, have a younger-looking body, and avoid discomfort. Health problems connected with knee, hip, and lower back pain are often consequences of the feet. Dr. Issam Mansour makes it easier than ever to keep your feet and ankles healthy for a lifetime. 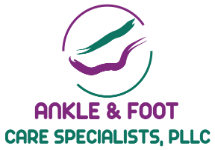 Generally, a Foot Doctor can treat a common set of podiatric symptoms but a Podiatrist with both Foot & Ankle training can treat a much broader range. Dr. Issam Mansour is one of the few Board Certified Physicians in the area, licensed to treat such a wide range of issues. He has dedicated his life to the treatment of not only the common ailments people may experience in life but years specializing in the rare facets of Podiatry additionally. Our practice offers same day appointments, house calls, late day appointments, and even weekend appointments per request. We accept all major insurances and we will gladly contract with any insurance carrier, if possible, that we don’t already participate with. Most local Primary Care Physicians in the Livonia area refer to Dr. Issam Mansour as their primary foot doctor due to his widened scope of practice. Our practice won’t require additional referrals to treat your present foot or ankle symptoms because Dr. Issam Mansour is board certified in both foot and ankle surgery. For directions to the office, please click here.